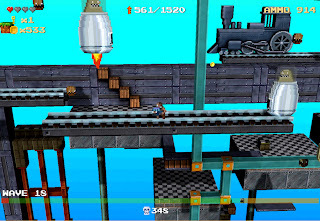 Henry Attacks is both a free 2D and 3D platformer made by Mechanical Starling. If you know about Super Paper Mario, Henry Attacks is very similar to it. You can freely switch between the 2D and 3D as you wish, as long as there isn't any clipping issue when switching to 2D mode. 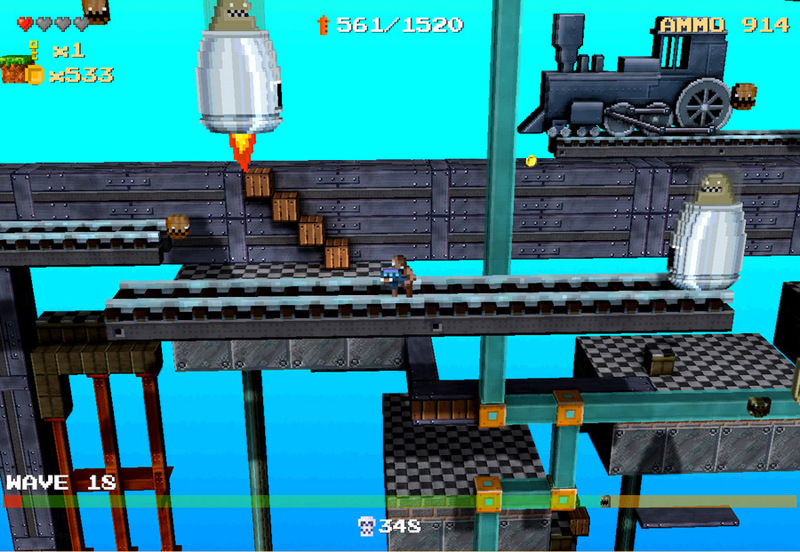 You switch between both dimensions to progress through the level, bypass obstacles and to evade monsters. When you first encounter one of the few enemies in the game, coming from someone who has played many of the Super Mario games, the first thing you'd do is jump on them, but that is a good way to die in this game. The way this game allows you to defeat any type of enemy is with a gun that you're given, and each enemy takes a few shots to kill. There isn't much more to talk about, the music, graphics (both 2D and 3D) are all good, but it may take you some time to get use to switching between the 2D and 3D environments. Overall, if you've liked the Super Mario games or at least want a similar experience to Super Paper Mario, Henry Attacks is something you would really enjoy.